No matter what your plans are for the festive season, it’s important to involve your pets in the Christmas celebrations to ensure they have a memorable holiday as well! 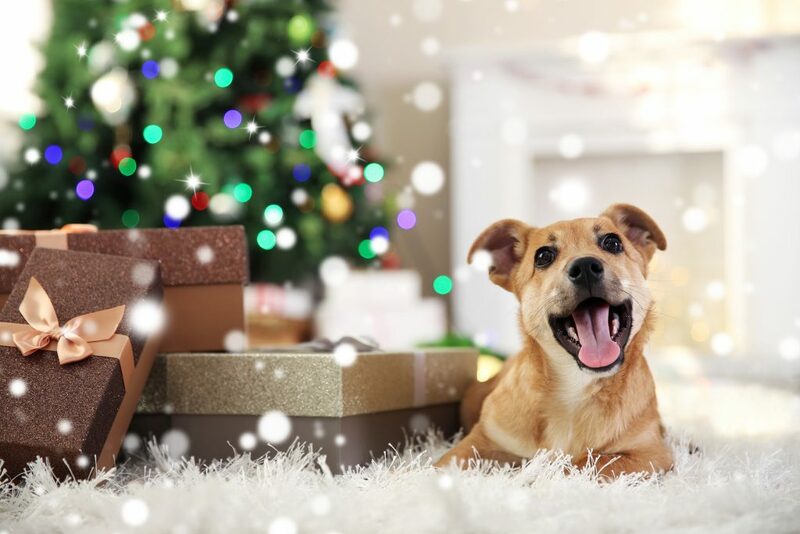 Read on for some great ideas on how you can include your pets in Christmas celebrations. Let’s be honest, most dogs enjoy Christmas decorations and lights as much as we do – so why not take your furry friend for a walk around the neighbourhood to check out the local displays? Now that you have some amazing happy snaps of your pets, why not use them to create customised Christmas cards? Not only will they look seriously cute, your friends and family are sure to love receiving them. Dogs: Put some dry food or small treat pieces with a tiny pinch of fresh cinnamon into cardboard containers (you could even use empty toilet paper or paper towel rolls and plug each end tightly.) When your dog plays with the roll, he will smell the cinnamon, hear the dry food rattling around inside and eat his way through to get inside. Cats: For a simple DIY holiday cat scratcher toy, take an old Christmas stocking made of a heavy duty scratchable material, cut it to open up flat, then wrap it around a piece of wood securing it tightly with twine or using a staple gun. Or – you could use a round piece of wood to create a rolling toy that your kitty will have to chase after.